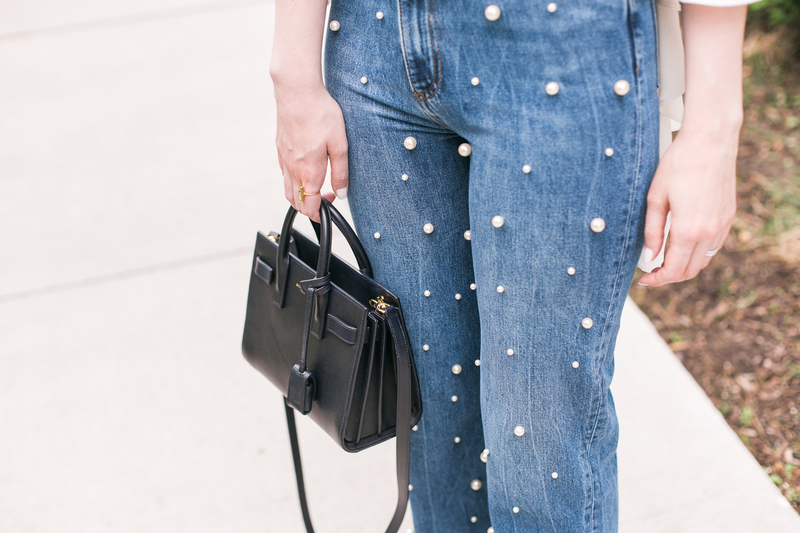 The perfect pair of statement denim for when you’re feeling a little bit *extra* on a Saturday, but you still want the comfort of your mom jeans. On weekends, I like to wear them as I’ve styled them here, but for a work event, I’ll pair them with a black turtleneck, quilted clutch and sky-high stilettos for a look that is polished with an editorial touch. 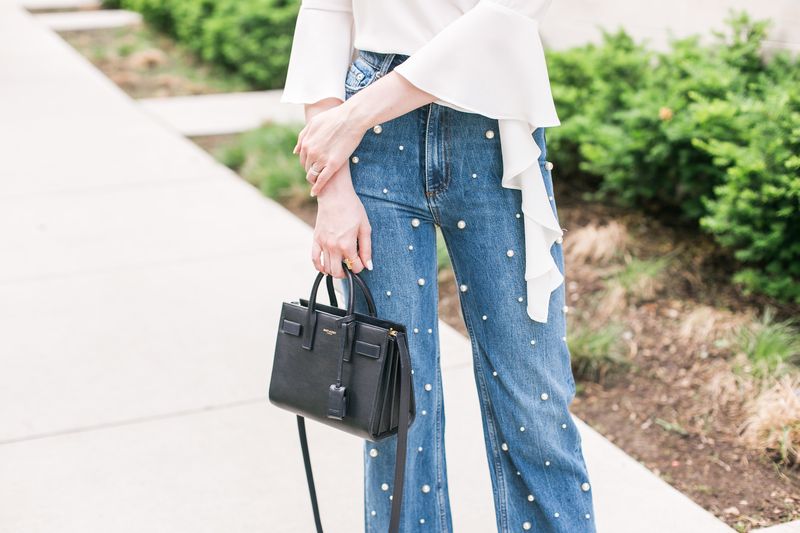 Awww, I'm totally loving your pearl embellished jeans! You're looking gorgeous top to bottom! Your hair is SOO gorgeous! Really jealous of how perfect you got those beachy waves!